Image from: McFarlane, G., & Roberts, M. (2005). Collingwood at Victoria Park. Revised and Updated Edition. Media Giants. On the outskirts of the city of Melbourne, approximately 3kms north-east is a suburb called Collingwood which was named in 1842 after Cuthbert Collingwood, otherwise known as Baron Collingwood who was an admiral in the British Navy. 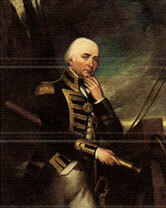 He was a highly accomplished admiral and is most famous for the battle of Trafalgar where he fought alongside his good friend Lord Nelson who was subsequently killed in action (Collingwood - Forgotten Hero, 2005). The suburb of Collingwood in the 1800's was an area that catered to the lower class in society. The land was low lying, and the drainage was poor. After a heavy rain, the sewerage and whatever else for that matter would run down the hill from the neighbouring suburbs and into the Collingwood residents' homes. For this reason the land was cheap, and the citizens of Collingwood were looked down upon by their neighbouring suburbs of Fitzroy, Carlton and Richmond (Mason, 2012). However, the population would grow tremendously and in the midst of the depression the suburb of Collingwood sought its' own football team by name, for the people of Collingwood to barrack for and to lift their spirits. It was reported in the Mercury and Weekly Courier (1889, 2) that the Hon. G. D. Langridge said it was a disgrace that Collingwood did not possess ... a Senior Football club, given other suburbs were manned with Collingwood players . A few years later the suburb would realise their dream as the Collingwood Football Club was born. 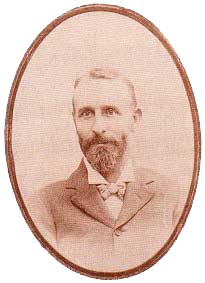 Unfortunately, for the Honourable George Langridge, he would not live to see Collingwood take to the field, after unexpectedly passing away from heart disease on Tuesday 24th March 1891 as reported by the 'Gippsland Times'(March 25, 1891).